We made it to Day 3 of the DIY Christmas Ornament round-up! Yay. 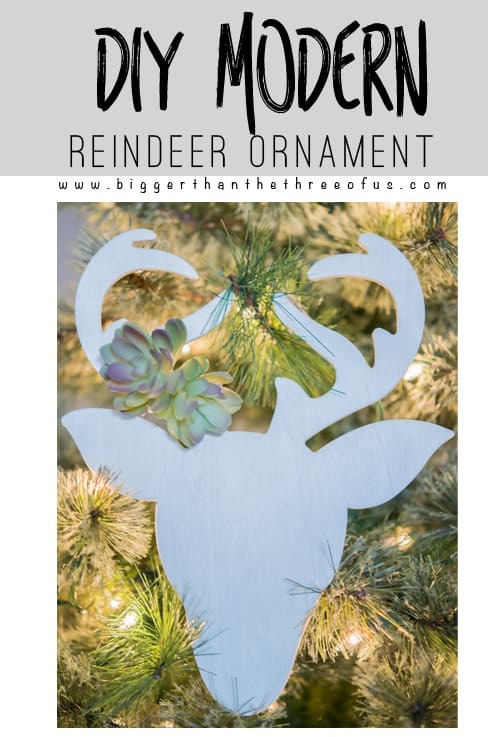 In keeping with my simple is better mantra, I have another simple yet fun ornament to show you! Super simple, right? Yep. But, just in case you want to see the details, I’ll provide a little step-by-step for you! Gather your supplies. 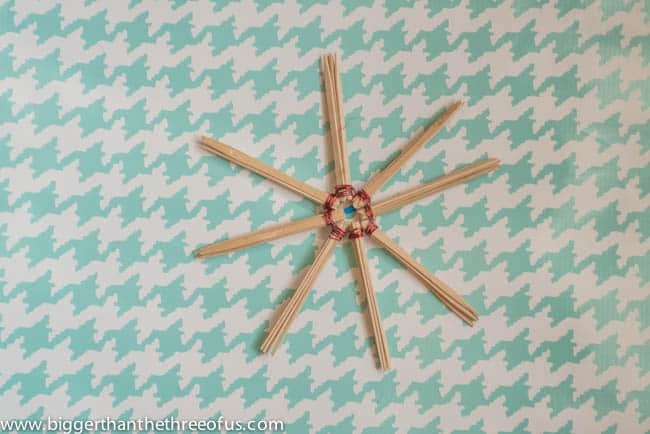 You will need some craft sticks, wire, a hot glue gun and a small circle of cardboard (or scrapbook paper). 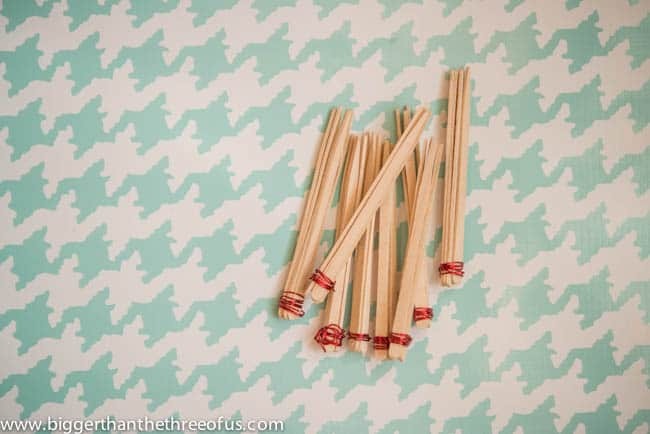 Make 8 bunches of five sticks. 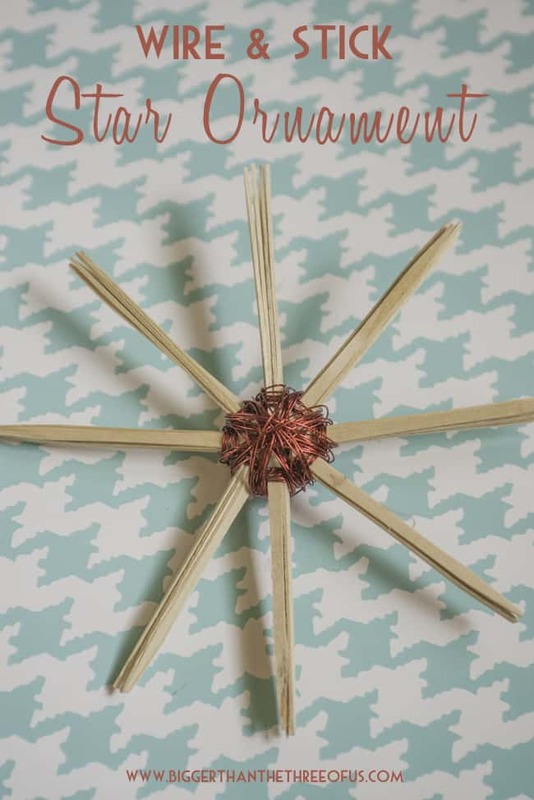 Tie some wire around each bunch of five sticks. 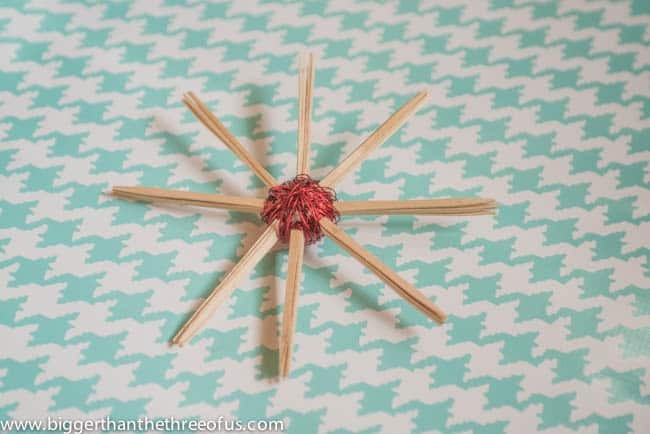 Hot glue the stick bunches onto a piece of sturdy paper (to create a star shape). Wrap wire around the middle of the shape to fill it in. Super easy and cute, right? You could get pretty creative with this. 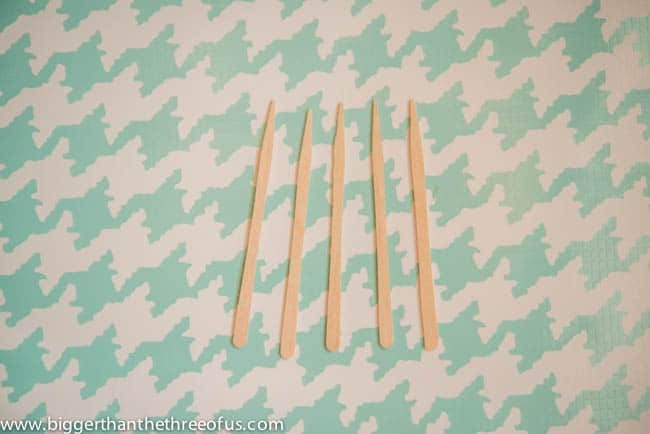 You could spray paint the sticks so that they were gold or white and then add different color wire around the middle. 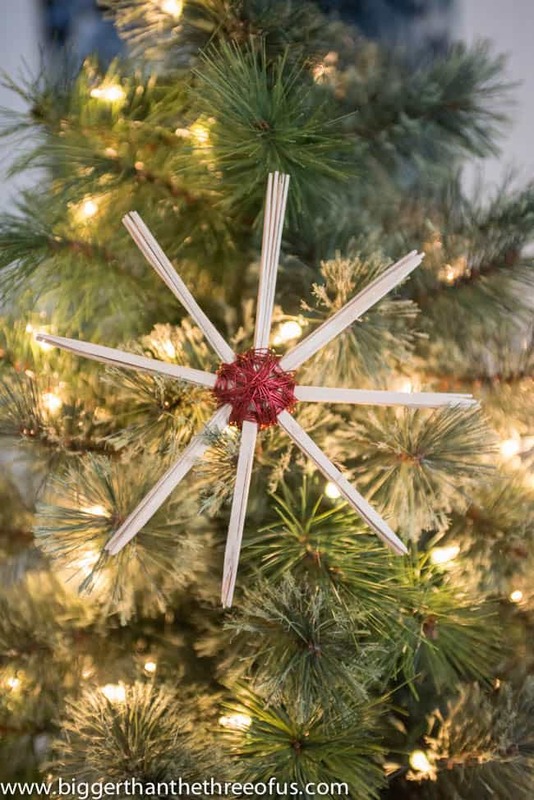 You could gold leaf the sticks to give it a bit something extra. The possibilities are endless! I’m really loving what everyone is making. 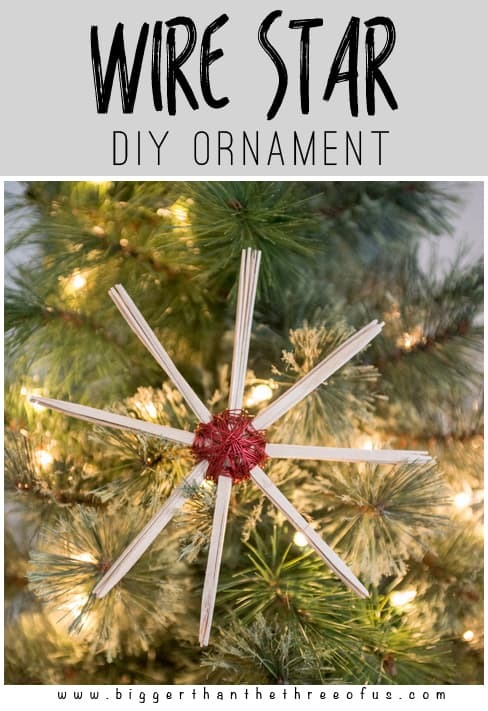 I see so many more DIY ornaments in my future. 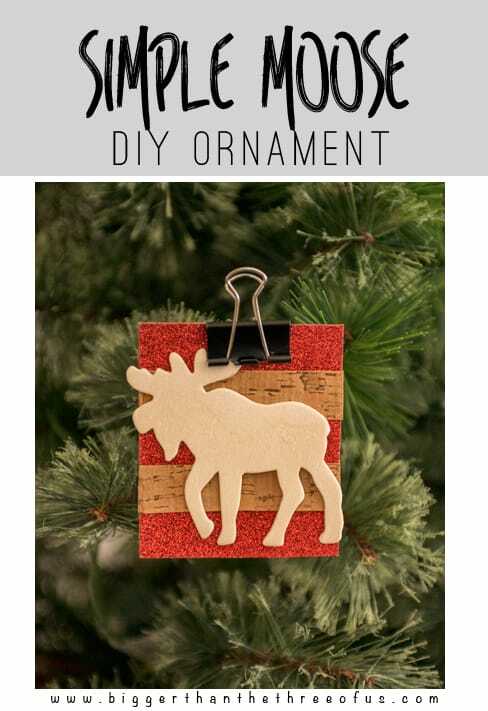 Have you got a chance to hop around and check out the other ornament tutorials? 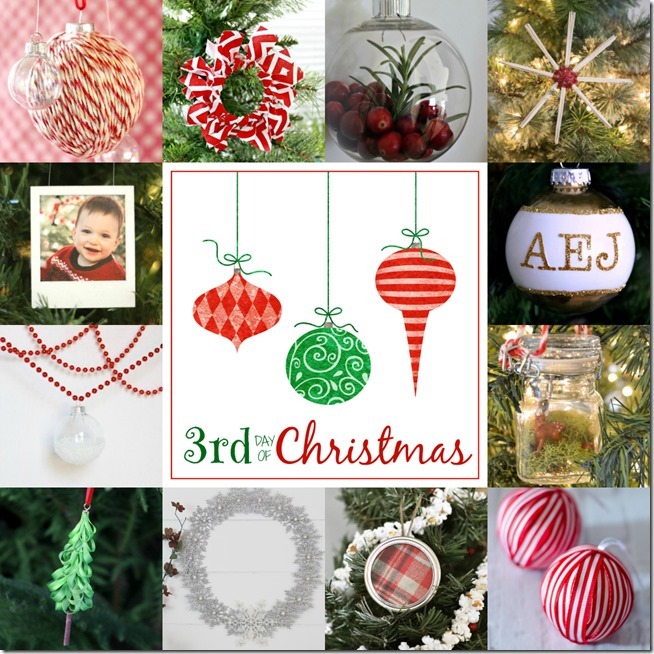 If you missed the previous DIY Ornaments, get the tutorials below! 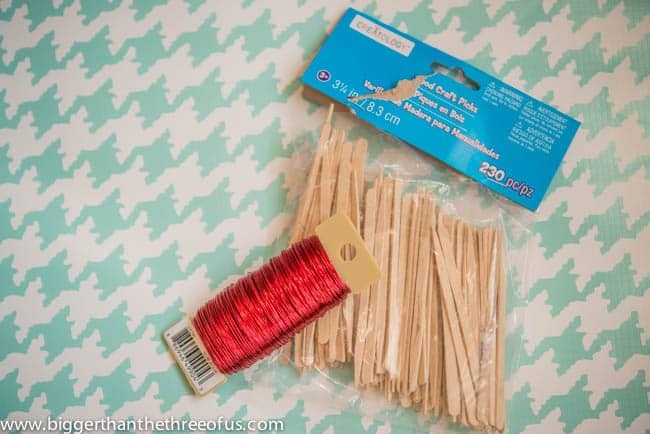 *Some of the products used in this post were bought with a gift card that I received from Michaels.